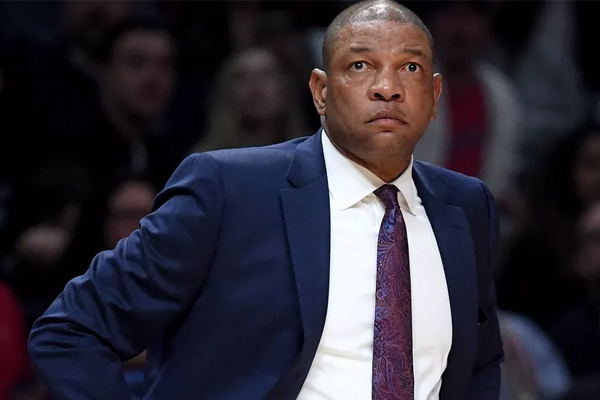 Doc Rivers Shoots Down Lakers Talk: "I Am Going Nowhere"
LA Clippers head coach Doc Rivers ended any speculation about him coaching elsewhere after the season, telling reporters he and team owner Steve Ballmer have agreed to a contract extension. Questions about Rivers’ future arose after a weekend report stated that Rivers had an “ardent ambition” to coach the Lakers. So when responding to a question about his potential candidacy for the Lakers’ job, he shut it down. Rivers and Ballmer agreed to a shorter extension last summer that included an opt-out after this season. However, Rivers said on Tuesday that that’s been replaced with a long-term deal. Rivers has coached the Clippers since 2013. Now in his sixth season with the Clippers, Rivers is in the midst of his best coaching job. Although the Clippers entered the season with low expectations they are now in eighth place of the Western Conference. The Lakers, meanwhile, have struggled with injuries and drama and even though a coaching change could be made, Doc Rivers made sure to take his name out of consideration.